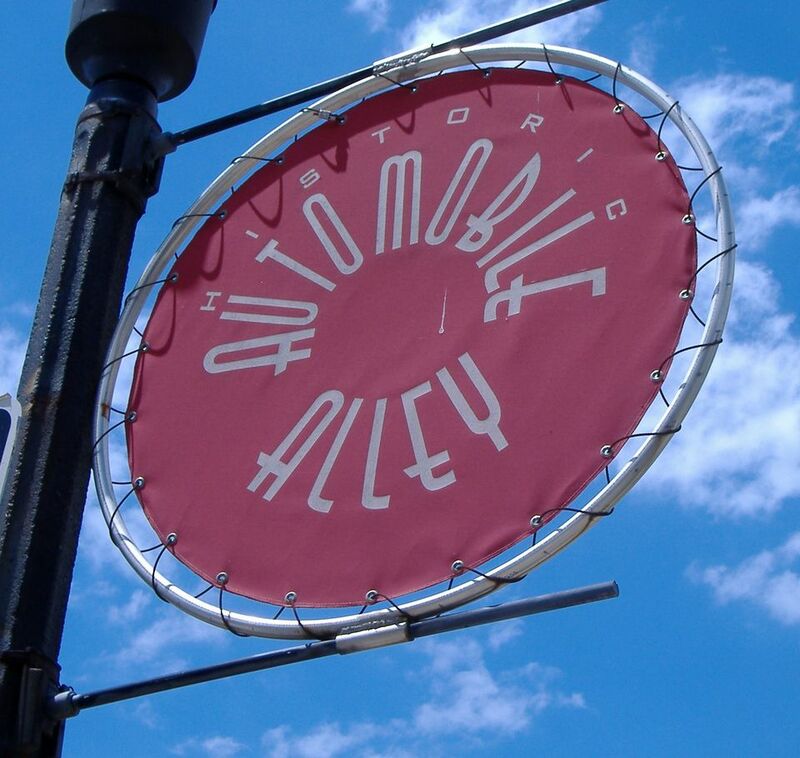 Oklahoma City's historic Automobile Alley district in the northeast part of downtown is so named because of its status as host to over 50 car dealerships in the 1920's and 30's. As much of downtown and Midtown began to decline in the 60's, so too did Automobile Alley. Today, though, there is renewed interest in restoring the unique urban area, and a number of businesses have joined the renaissance. Broadway Avenue, the primary north-south street in Automobile Alley, was one of Oklahoma City's widest in the city's infancy, and early residential homes along the street turned into commercial buildings by the 1920's. Car dealerships found a home in the area as did car service companies, hotels and apartment buildings. According to downtown officials, 52 of Oklahoma City's first 76 automobile dealerships were located in the Automobile Alley district. Much of the area began to deteriorate in the coming decades, though, as land around the railroad tracks was utilized for industrial and manufacturing space until the early 1960's. It wasn't until the time period after the Oklahoma City bombing that city officials began to emphasize a rejuvenation for Automobile Alley, calling it a "front-door to downtown" and aiding in the transition from warehouses and wide-bay buildings to galleries, restaurants and loft apartments. Automobile Alley is located along Broadway Avenue in the northeast part of downtown, from 4th to 13th. It extends only slightly west of Broadway but east to I-235. The area is easily accessible from I-235, which connects to several other major Oklahoma City highways.